This section covers listing, editing, deleting all users. 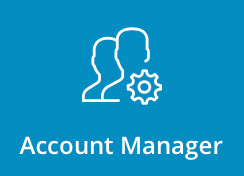 To access users list, sign into the control panel and then click on the "Account Manager" icon, followed by the "Show All Users" link. You can sort the list by clicking on the column title. For example, to sort users by bandwidth usage, click "Bandwidth" at the top of the table. To modify an account, click on the User's name in the first column of the table. You will then be taken to that User's account screen. Click the "Actions" button at the top of the screen and select "Modify User" link. In this example, we have clicked on the User "gary" and then clicked on "Actions" -> "Modify User". 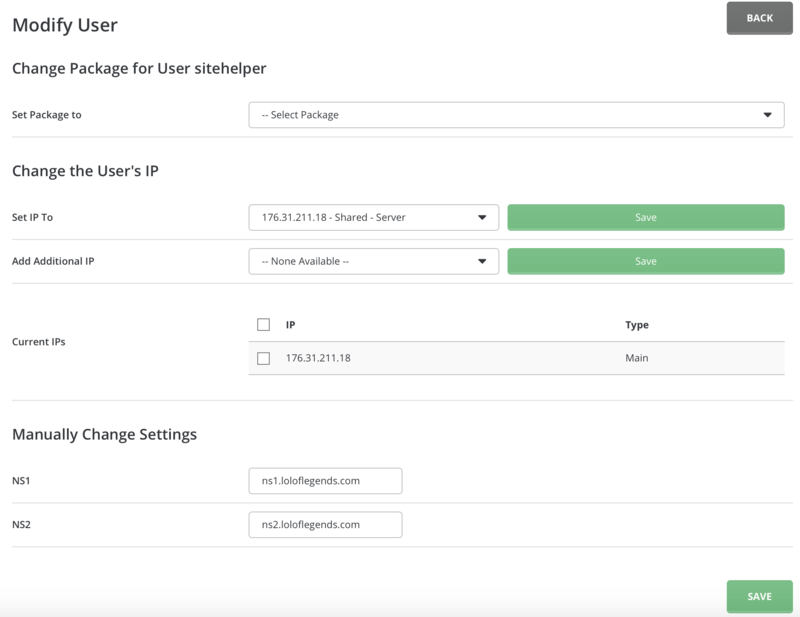 From there, you can select other User Package, Add aditional IPs, Set current IP to another IP, delete current IPs or manually change NameServers. Once you've made desired changes, click "Save" button. Tip: You can also view User History, Statistics and other Account Info from User's account screen. Users are deleted by placing a check next to the User, then clicking the "Delete" button at the top of the table. You can delete several Users at once. Deleting a User means his/her account and all files/directories are removed. You may suspend/unsuspend Users by placing a check next to the User, then clicking the "Suspend/Unsuspend" button. 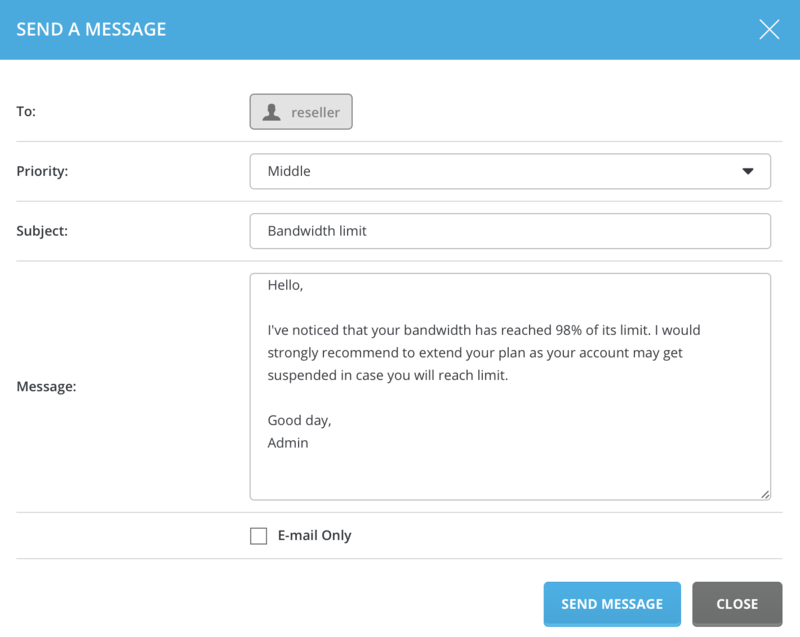 Note: Users automatically suspended by DirectAdmin for exceeding bandwidth quotas may be unsuspended, but DirectAdmin will automatically suspend them again the next day at midnight (assuming their bandwidth quota hasn't been upgraded). Set the message priority, type in the subject and message body, then click "Send A Message" button. You can choose to only send message to User's e-mail (not DirectAdmin message panel) by clicking on "E-mail Only" box.